Upon online payment, your seats will be reserved/blocked. To collect your tickets, please show payment confirmation email to HSNEF Office or collect before event at Venue. 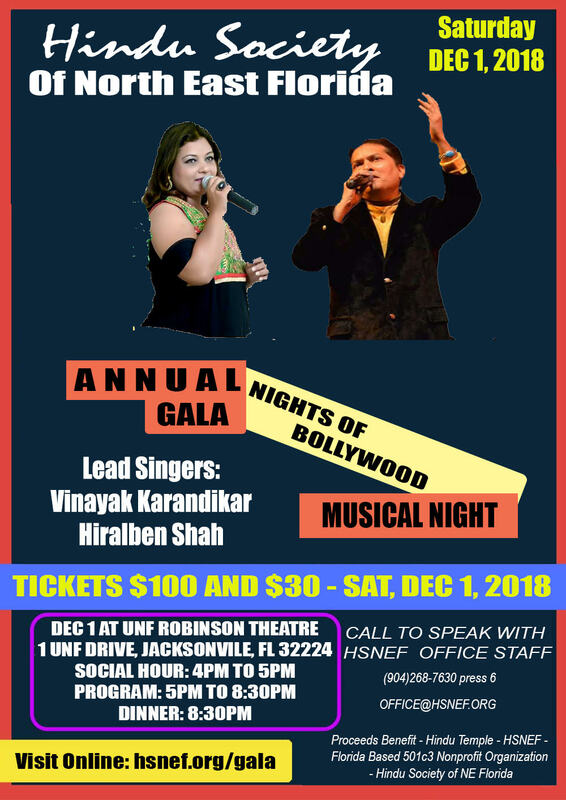 Proceeds Benefit - Hindu Society of NE Florida Registered 501c3 Nonprofit Organization.